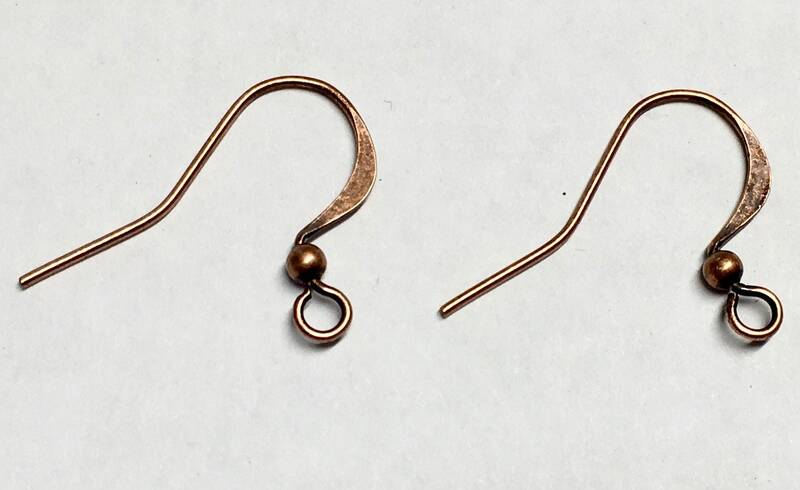 Antique Copper Plated surgical steel hammered, long ear wire hooks, with loop and bead. You will receive 12 pairs, 24 pcs. Lead and nickel free. Very nice; these will work perfectly with my jewelry designs. Nice earwires! ALL of the supplies I have purchased from your shop are top notch. Fast shipping. Responsive to questions. GREAT service. Great quality findings. Nice selection. Fast shipping. Highly recommend this seller. Excellent quality. Very fast shipping. I am really happy with this purchase. I will definitely be back. Thank you!